Sony is paying $764 million (60 billion yen) to buy up the remaining 42 percent of shares in broadband Internet company So-Net in an effort to make it a wholly-owned subsidiary. Filings by the two companies on Thursday (PDF) announced the offer. Sony and its finance arm together own 58 percent of So-Net, but over 100,000 shares are outstanding. After Sony, several Japanese and international banks are listed as the major shareholders of So-net. For instance, a Japan Trustee Services Bank trust account has a 4.39 percent stake. 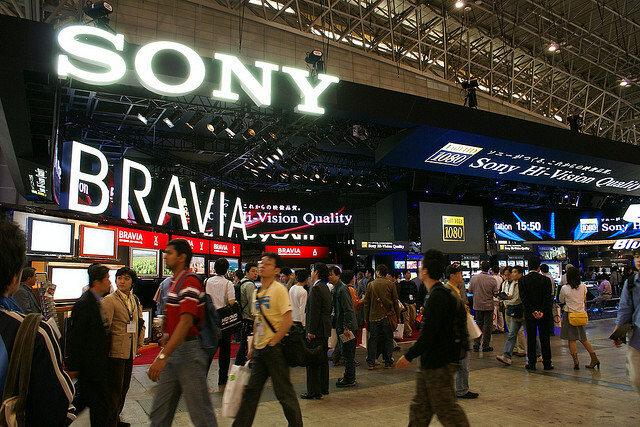 Sony’s tender offer will run from August 10 until September 20 at $7229 (567,500 yen) a share. So-Net, which has 1,468 employees, was founded in 1995. It had sales of $1.19 billion in its most-recent fiscal year, which ended in March 2012. “[Sony] believes that, if [So-net] delists its shares and becomes a wholly-owned subsidiary of the Company, such simplification of the capital relationships will benefit the Company in its effort to strengthen its core areas and allocate resources to growth areas, which will ultimately lead to realizing more value,” the filing read. Media entertainment, such as music, pictures and games, and mobile products were cited as key opportunities for Sony’s network business. “Network services have become essential to [Sony] in leveraging its strengths with respect to the hardware and content owned by the Company,” the company said. Other reasons for the deal include Sony’s plans to use So-net to “advance the pursuit of cloud services and interactive entertainment experiences in Japan and Asia.” The company also hopes to combine to create and grow “new network services.” In addition, the two companies will cooperate “from the initial stage of development of products and services” to improve mobile devices and networking equipment. The filing notes that So-net will be able bring in new customers with the help of Sony’s “sales network and user base.” The company’s resources are also expected to reduce costs across the whole Sony group. Sony describes the offer as part of its new management team’s plan to “revitalize” its electronics business. Kazuo Hirai, formerly head of Sony’s Consumer Products business, took over as president and CEO in April. Earlier this year, Sony completed a buyout of Ericsson’s share of their joint venture handset business and renamed the company Sony Mobile Communications.